If you’ve watched Ratatouille, you know the phrase well. But as much as I’ve watched (and loved) the Pixar classic, I didn’t believe it for a second. I mean, don’t get me wrong. I understood the message of the movie went far beyond rodents and culinary skill. 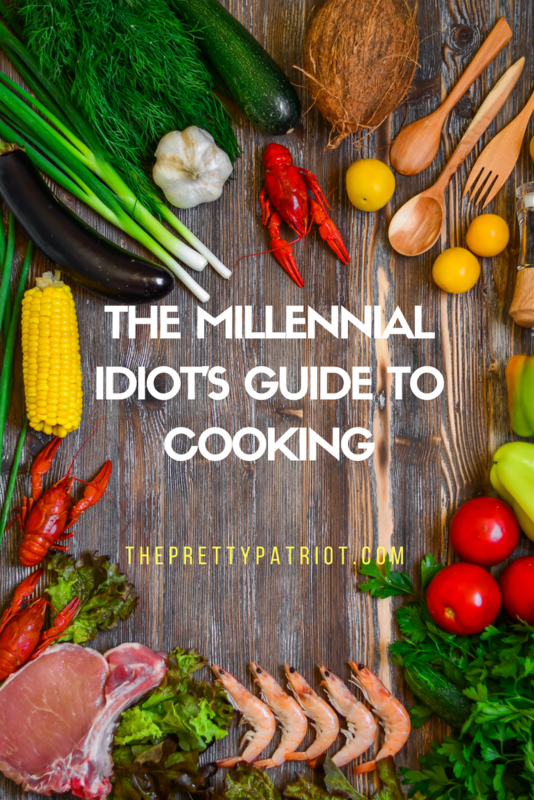 But as someone that didn’t cook growing up and was satisfied to throw pizza rolls in the oven any time my stomach started growling until the ripe age of 23, I felt like I was too far behind to learn how to cook. It was all so intimidating and overwhelming. But there is no better motivation for wanting to learn how to cook for yourself than taking charge of your health. Because the more serious you get about your health, the more you realize just how much of what you thought was “healthy” because an Instagram model recommended it or it had a pretty, modern label with words like “organic” and “kale” on it is actually toxic garbage. Don’t get me wrong — I haven’t gone full hippie, and I’m not going to tell you to shop exclusively at Whole Foods and Trader Joe’s and start growing your own food. Because if anyone has time for that, I don’t know them. But the more you cook for yourself, the fewer items that come pre-packaged and the more words you can pronounce in the ingredients description, the better. I started following a bunch of food accounts on Twitter that did those short instructional videos on different meals, and slowly started to realize that it wasn’t nearly as complicated as I’d made it out to be. Cut some stuff up, throw it in a metal container, season it, and let it cook. That was what 90% of cooking came down to. The first meal I made was eggplant hasselback, and it definitely didn’t come out perfectly, but it was good, and it showed me just how simple cooking could be. I made it the same day I gave my deposit on the townhouse I would be moving to in Virginia, and I think that in the spirit of adulthood, I just wanted to know I could do it. Grocery shop with meals planned ahead. Someone gave me this advice before, but I didn’t really pay attention. I would just pick out things like a kid in a candy store and tell myself I would make it work. Terrible idea — especially when you’re sharing a refrigerator with three other people and frequently get confused about what belongs to who. It’s easy to forget what you bought, it’s easy for stuff to go bad, and it’s easy to waste a LOT of money if you don’t grocery shop with intention. Don’t make your life harder than it needs to be. As someone trying (and often failing) to live a healthier lifestyle, there’s a pressure to do everything yourself because it’s more “natural” that way. But if the only difference between you spending two hours chopping garlic and buying it pre-chopped in the store is one ingredient, save yourself the time and aggravation. 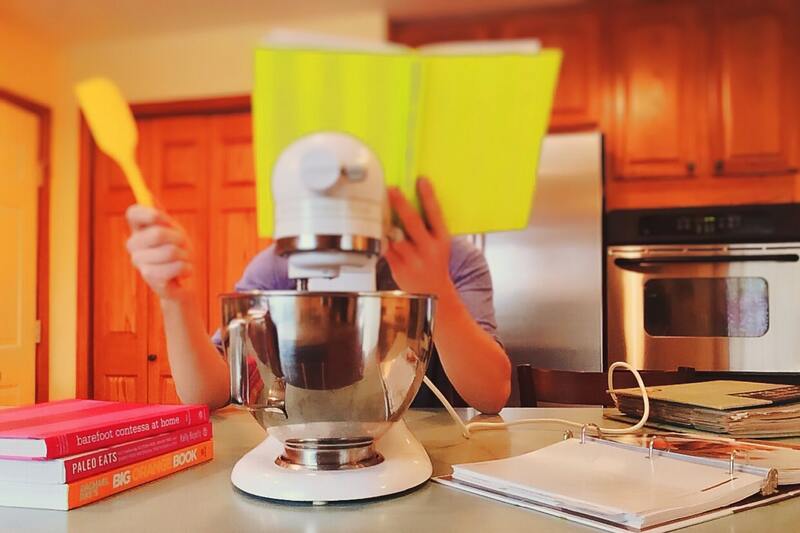 Something that deters so many young professionals from cooking is how little free time most of us have, and how much time we think cooking takes. I’ve found cooking to be fun, but let’s be real — after an 8 hour day at work, few people want to spend hours preparing food. Watch Tasty videos. Tasty’s short, to the point, but informative recipe videos are literally responsible for me learning to cook like an adult. Like, I legitimately don’t know if I would’ve started cooking without them. Because most of the videos are so short, they tend to stick with relatively easy recipes; making learning to cook that much easier. The more you cook, the better you get. This seems straightforward enough, but that first eggplant hasselback I prepared wasn’t anything to write home about by a long shot. Fast forward to now, and I’m actually making dishes that I would be proud to share with my friends and family. If you would’ve told me months ago that I would be excited to eat my own food and actually share it with people, I wouldn’t have believed you. Don’t be afraid to experiment. I can only speak for myself, but the best dishes I’ve prepared have come from improvising. I always thought that improvising was something reserved for experienced cooks that actually had a clue what they were doing, but that isn’t true at all. You may not know what you’re doing right away, but I think deep down most of us have some kind of instinct in the kitchen — it might just take some of us longer to discover it than others.